“For the body is not one member, but many.” – Corinthians 12:14 We thrive when we are in community – whether we come together in worship or to help those around us as stewards of God. But, often, the elderly population is forgotten within the community. Years ago, as a diocese, we decided we would no longer let this happen. This is how our Episcopal Home was founded in 1927. We invite you to celebrate this shared mission by visiting bit.ly/eh-woven and adding a picture to our collage. Through this collage, see how we are all woven in the mission of the Episcopal Home together. 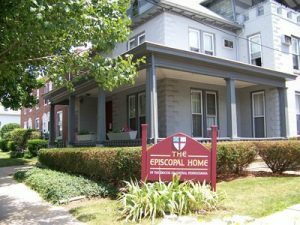 We also invite you to make a donation to the Episcopal Home. If every household in the Diocese contributes $25, the Home will be able to provide care, services, and activities for its residents throughout this year.